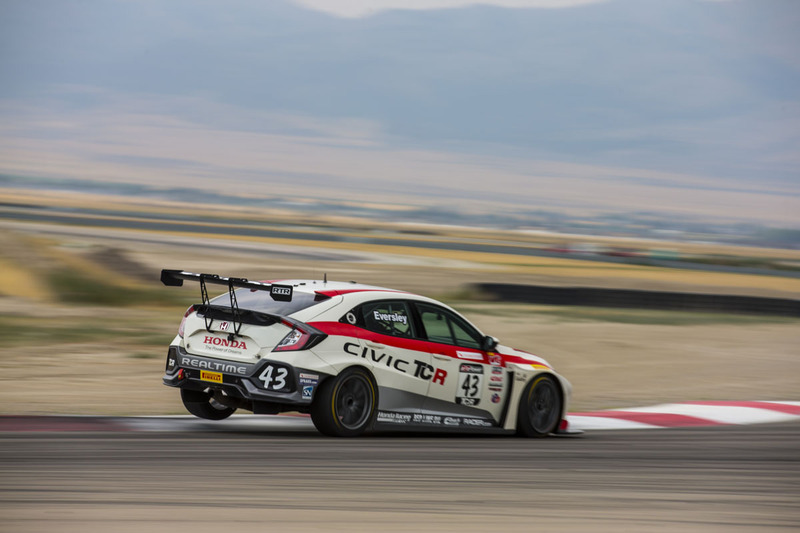 Ryan Eversley kept a firm grip on the World Challenge Touring Car Series points lead with a pair of podium finishes in his Honda Civic Type R at Utah Motorsports Campus. Meanwhile, Tom O’Gorman dominated the weekend in his Honda Civic Si, solidifying his points standing with a pair of easy victories in the TCA class. 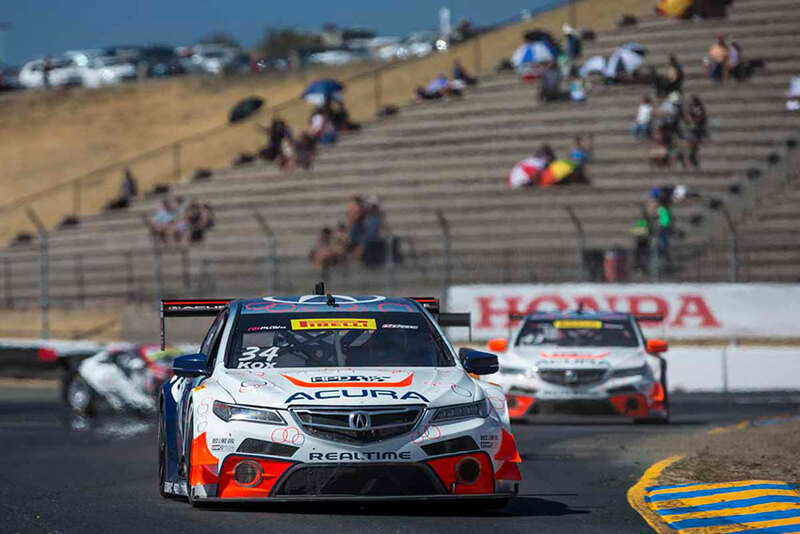 RealTime Racing driver Ryan Eversley fought back after a heartbreaking Saturday race in Portland to claim his third win of the season in the Pirelli World Challenge Touring Car R series in Sunday’s weekend finale at Portland International Raceway. 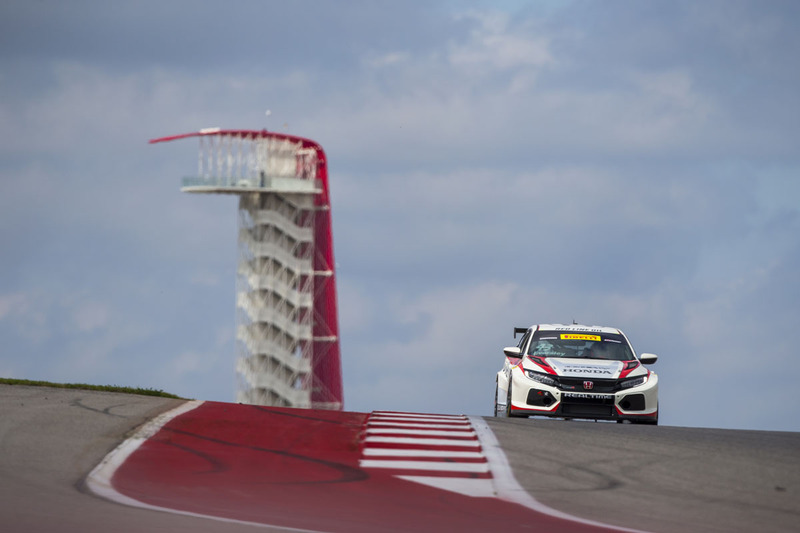 RealTime Racing and driver Ryan Eversley recorded the first podiums globally for the new Honda Civic Type R TCR, finishing third in both rounds of Pirelli World Challenge doubleheader race weekend at the Circuit of the Americas; while Tom O'Gorman started his second season of TCA class competition in near perfect fashion, taking his Honda Civic Si to a second-place result on Saturday, and a commanding victory in Sunday’s race. 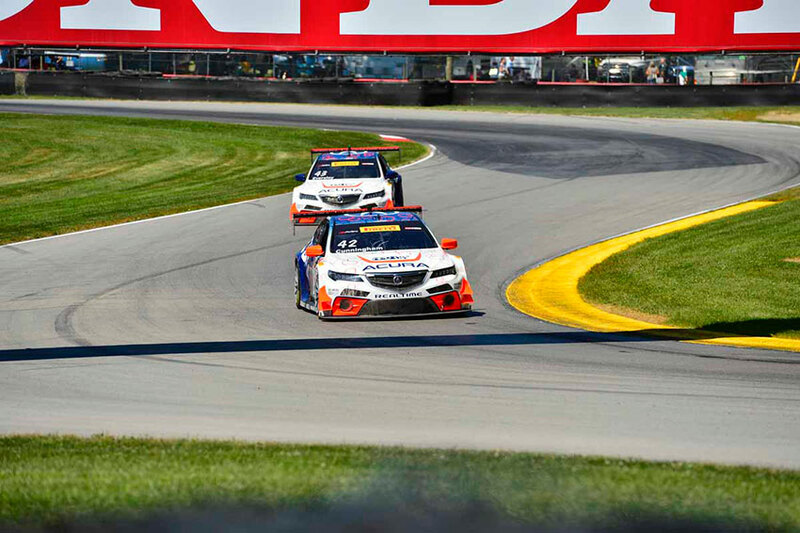 In Saturday’s opening TCR race, Ryan Eversley had a straightforward run to third in the 40-minute, timed event. Starting second in his RealTime Racing Honda Civic Si in Saturday’s opening round, Tom O’Gorman briefly led the TCA class, powering around the Mazda MX-5 of pole qualifier Bryan Ortiz. O’Gorman then went on to battle Eric Powell for the class victory, finishing just 17 hundredths of a second behind after 40 minutes of hard, but fair, racing. 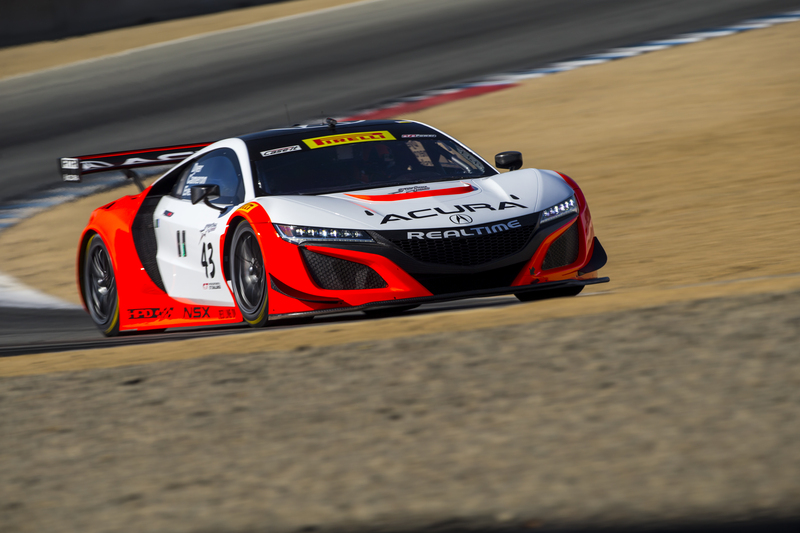 The RealTime Acura team added a couple new drivers to its SpintX lineup to compete in the 8-hour Intercontinental GP at Laguna Seca Raceway. 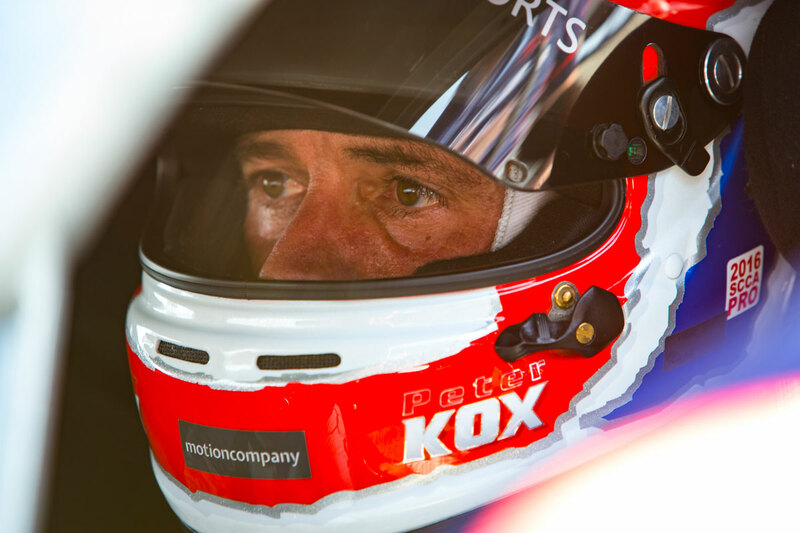 Racers Dane Cameron and Jules Gounon joined Ryan Eversley, Peter Kox, Mark Wilkins, and Tom Dyer for this endurance event. 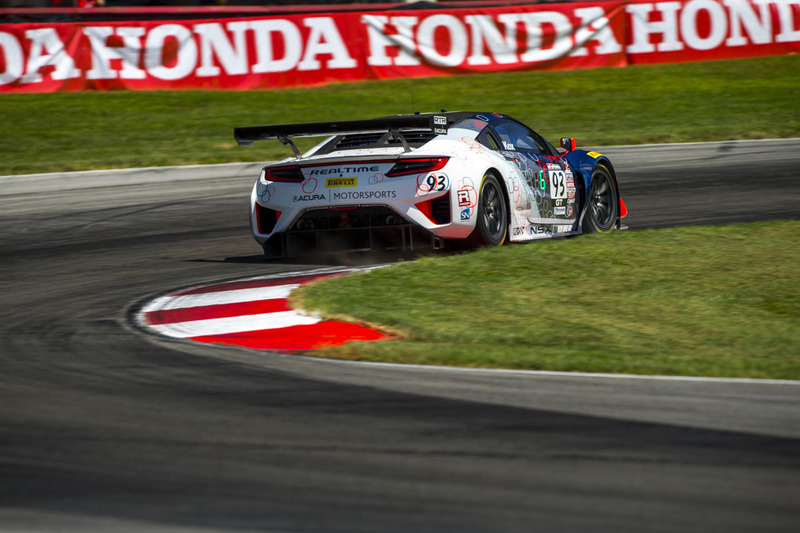 Peter Kox grabbed a top-10 finish in Race 1, but Ryan Eversley wasn't able to finish with a cut brake line ending his race. 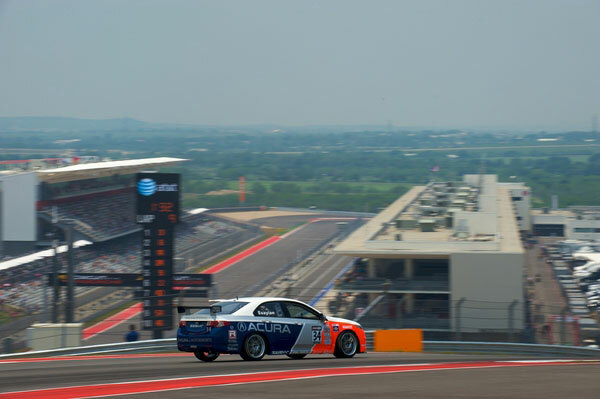 The final race of the weekend in Texas was the best team result of the weekend gaining positions throughout the Sprint X race, with both cars finishing in P6 and P8, and on to the GT season finale in Sonoma. 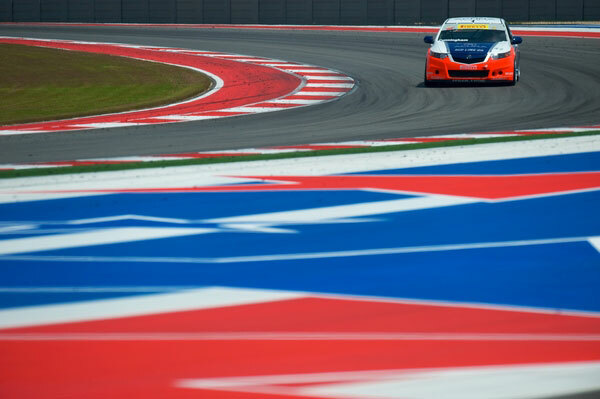 The RealTime Acuras got an extra race in this weekend at Texas from the rained-out round earlier in the year in Canada. 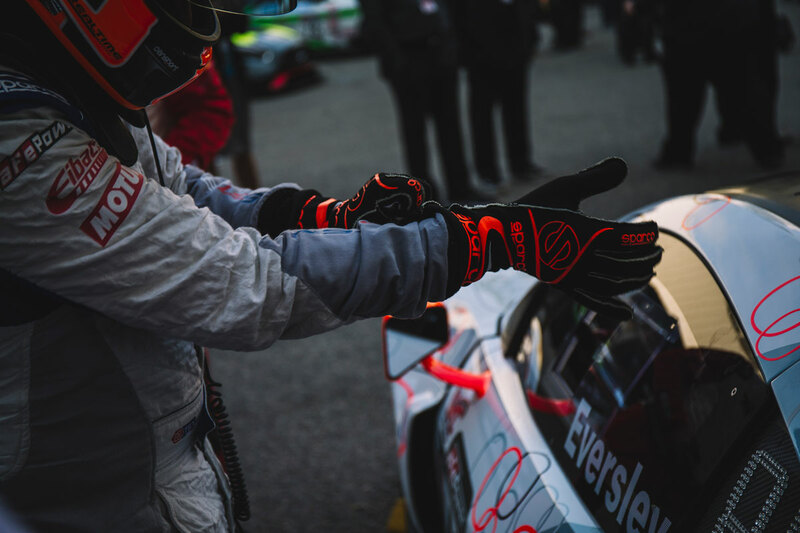 The results improved from the first race of the weekend to the second race, but a 0.44 second early release form the pits during a driver change created a frustrating setback. 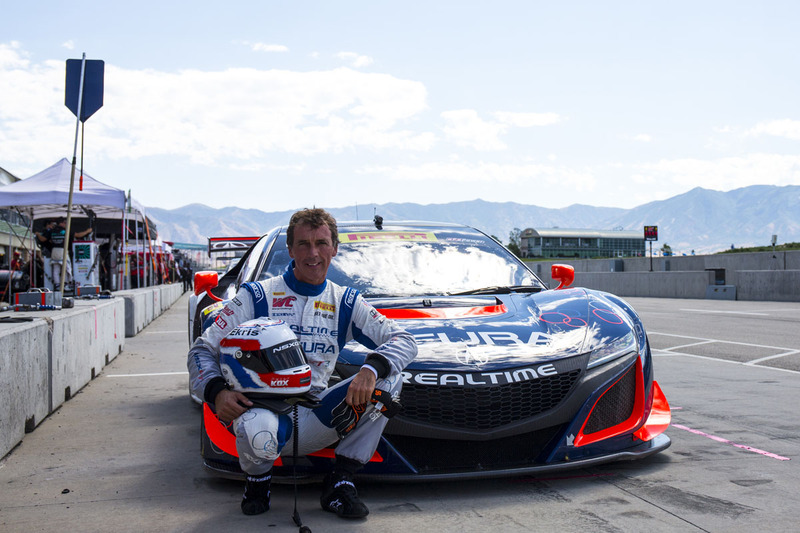 The RealTime Racing Acura NSX GT3 team had the weekend it had been waiting for at Utah Motorsports Campus, scoring three top-five finishes and taking the new NSX supercar to Victory Lane for the first time in Pirelli World Challenge competition. 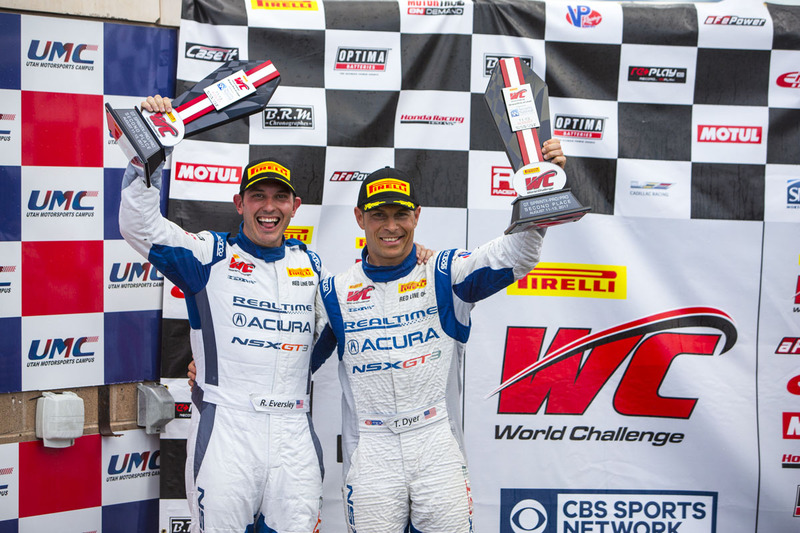 Peter Kox and Mark Wilkins combined to score the first win for the new Acura NSX GT3 in Pirelli World Challenge Competition in a hard-fought SprintX opening round of a doubleheader race weekend at Utah Motorsports Campus. 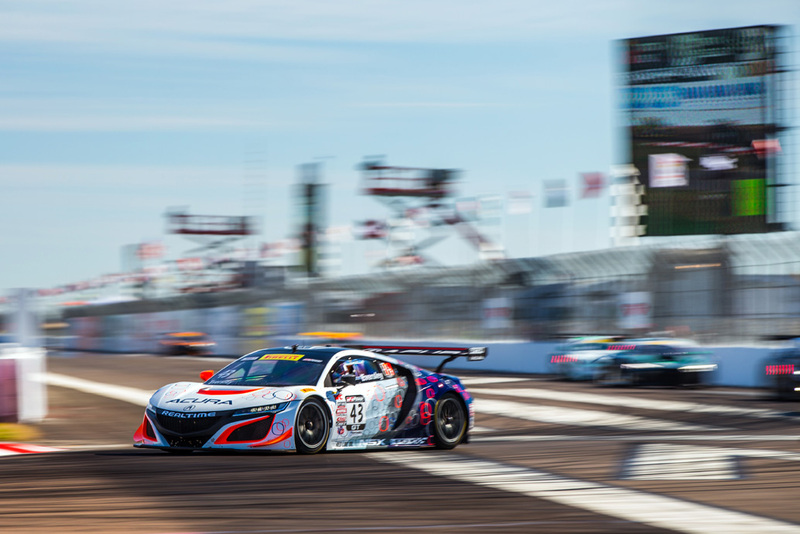 The driving duo of Peter Kox and Ryan Eversley did a strong job of maximizing opportunities during Rounds 6-7 of the 2017 Pirelli World Challenge season. 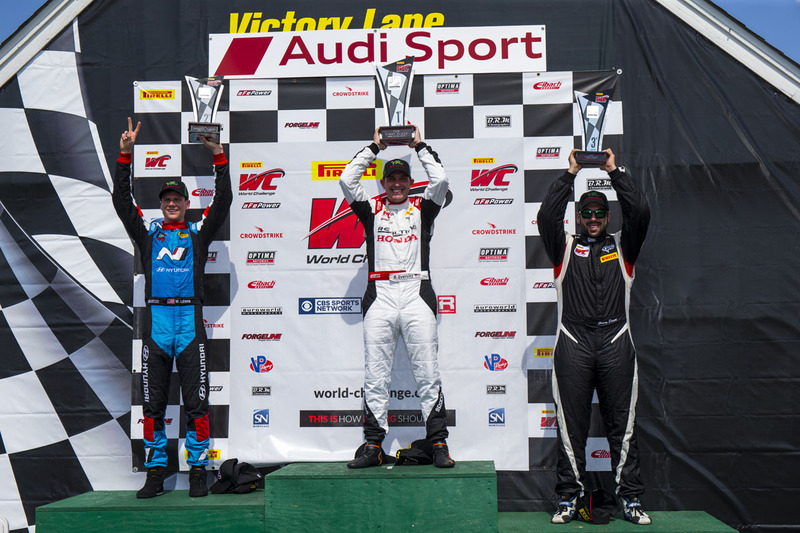 Ryan Eversely grabbed a top 10 finish at PWC race 1 at Mid-Ohio, running with teammate Peter Kox for most of the race, until Peter was hit with a drive-through penalty. Capturing the flags. 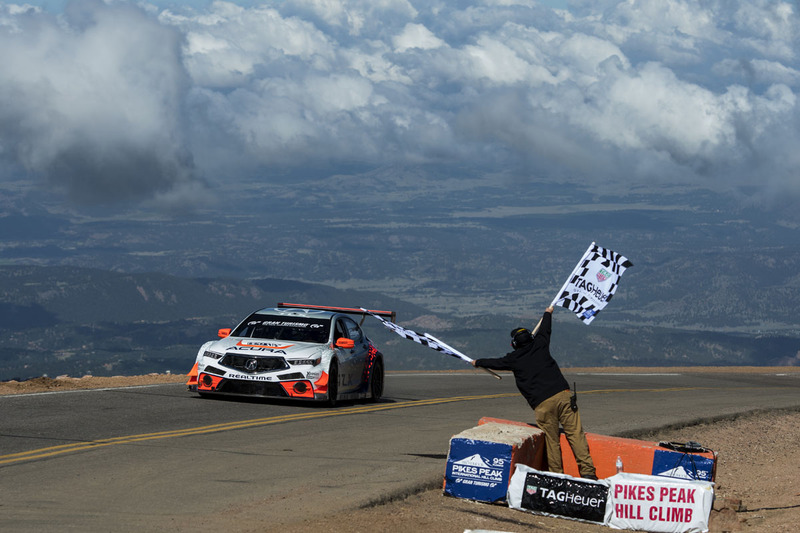 Acura claims three top-three finishes, two victories, and one course record at the 2017 Pikes Peak International Hill Climb. 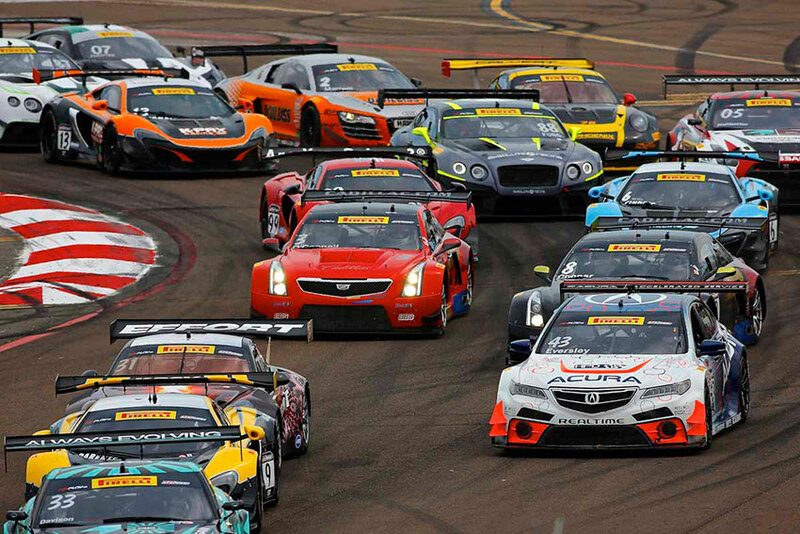 An early-race accident nearly takes out both RealTime Acura NSX GT3s at the team's home track. 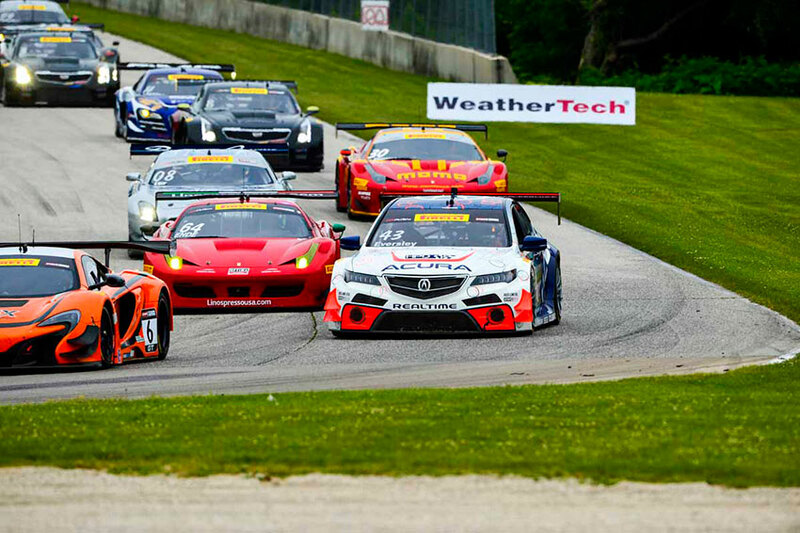 Another top-five finish for the RealTime Acura team in Race 1 at Road America! 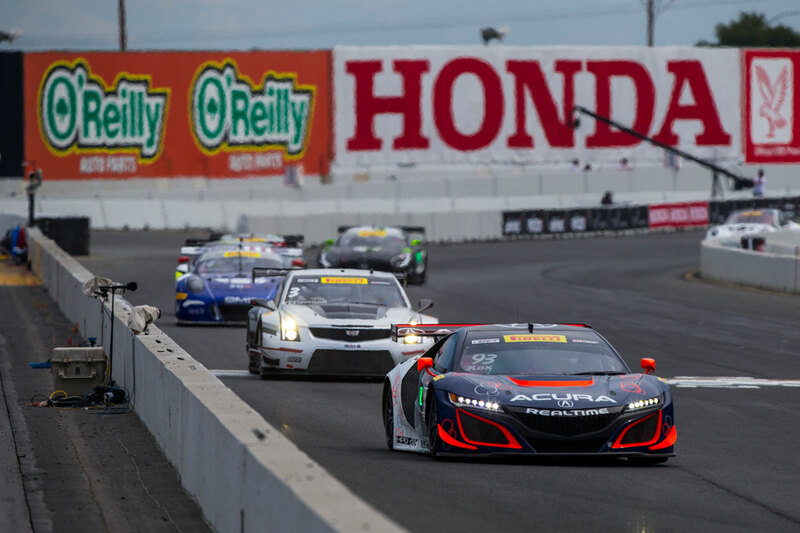 The RealTimeAcura NSX GT3s were able to make a few moves up through the field in the first race at Canadian Tire Motorosports Park, and are set for even better starting positions in Race 2! 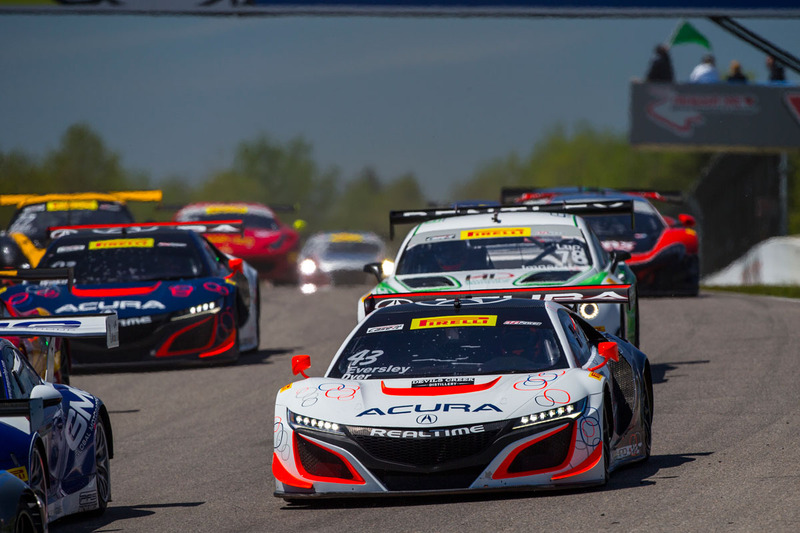 The Acura NSX GT3s of RealTime Racing delved into the new SprintX format of Pirelli World Challenge competition at VIRginia International Raceway this weekend, and fought back from troubles to narrowly miss a top-10 result. Peter Kox immediately gained two positions from his 10th-place starting spot, just before getting hit on both ends. 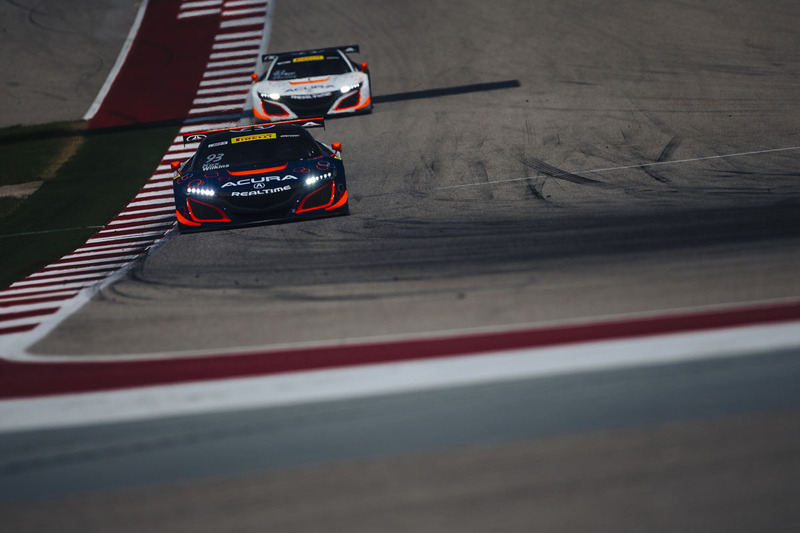 The contact broke the front grille of the Acura NSX GT3 and dropped it back to 17th, where Kox got to work on bringing it back through the field. RealtIme Racing's Ryan Eversley started shotgun on the 24-car field in Saturday’s race, as his practice crash left him unable to qualify, but he gained six spots before residual damage from the accident sidelined him with six laps to go. 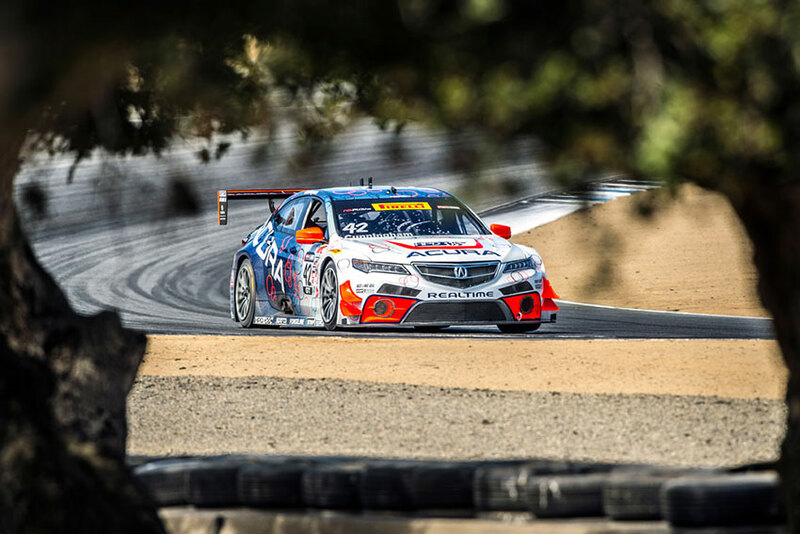 The 2016 Pirelli World Challenge season ended with a bang Sunday afternoon in Monterey, California, as the Acura TLXs of RealTime Racing deftly avoided a last-lap dustup and finished with a pair of top-10 finishes in the season finale. 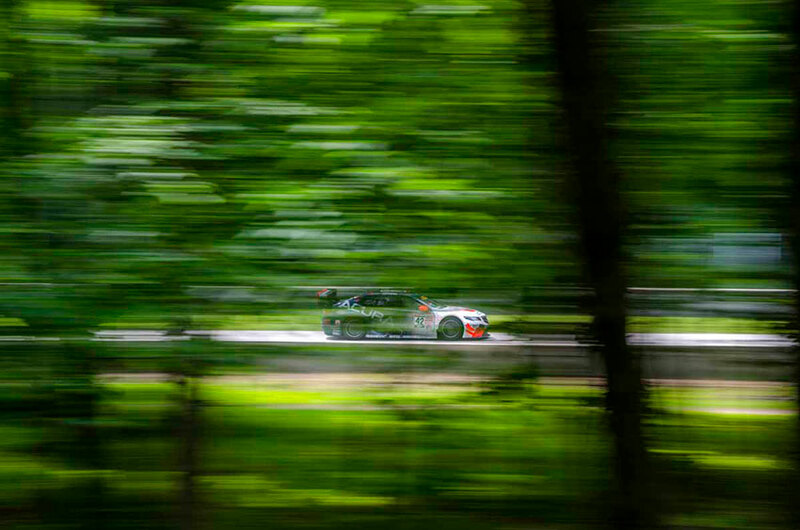 The RealTime Racing Team tried multiple set ups throughout the practice sessions, but couldn;t find the perfect set-up with Spencer Pumpelly qualifying P15 and Ryan Eversley qualifying P18. 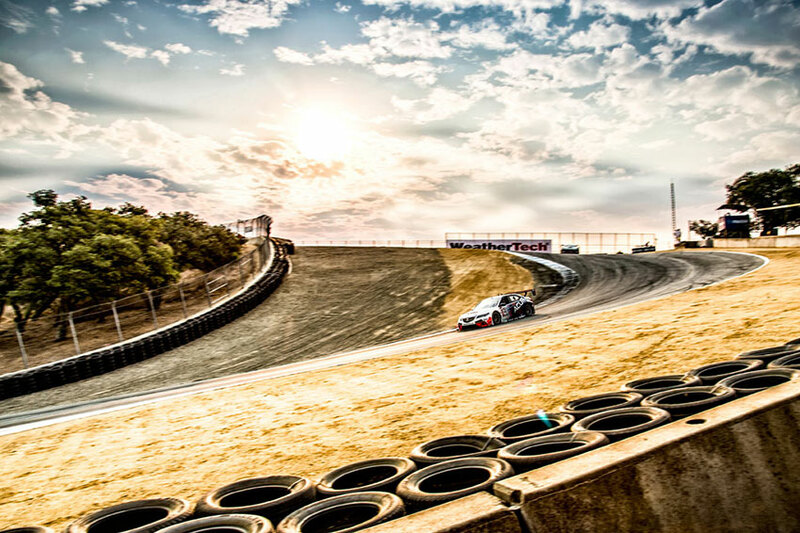 It was a hot weekend at Sonoma, with temps well into the 90s and, though both TLX-GT drivers gained ground in the race, P10 and P12 were about as good as the team could do this weekend. 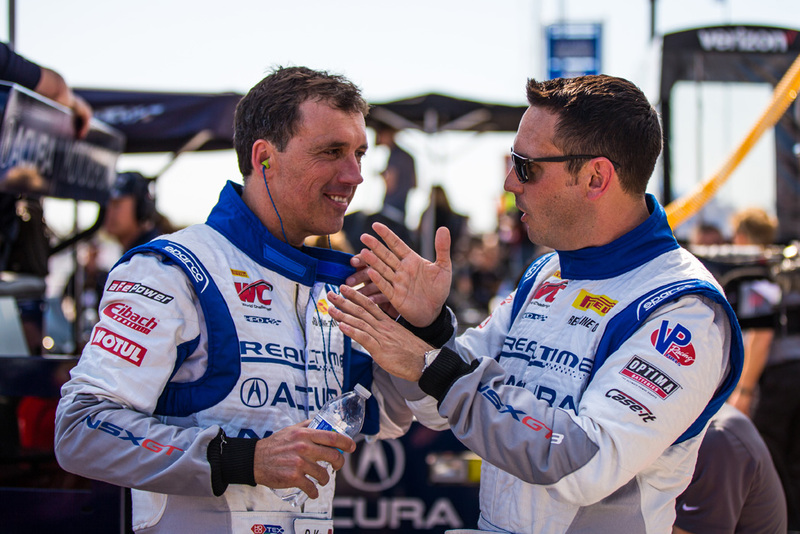 The RealTime Acura squad looks forward to a top 5 finish at the next round at Laguna Seca. 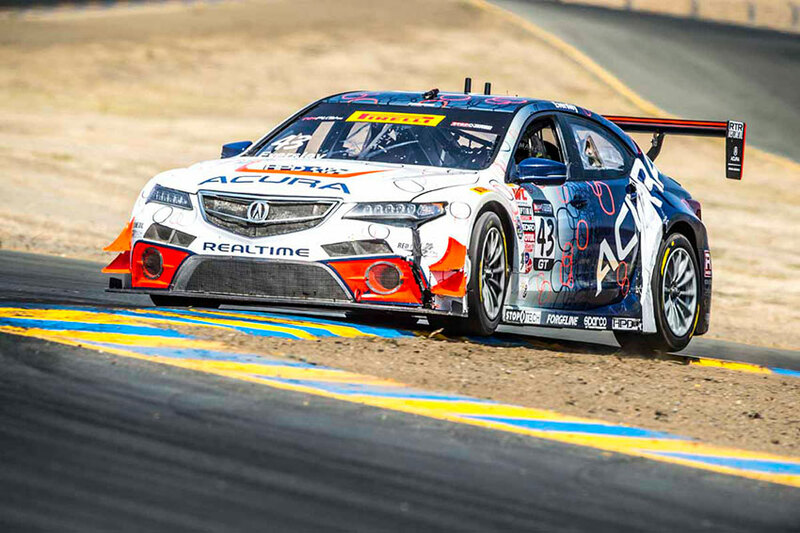 The RealTime Acura team raced hard at Sonoma, but the track was challenging for the team, with Ryan Eversley finishing P10 and new TLX-GT driver Peter Kox finishing P16. 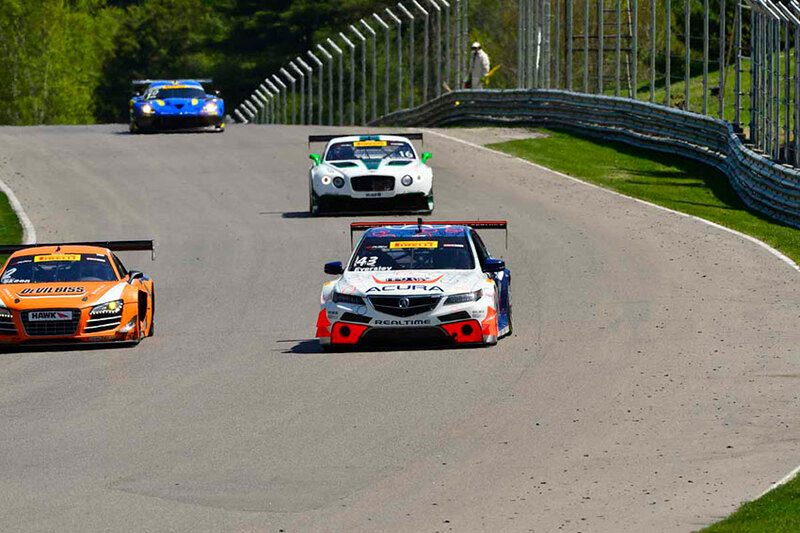 RealTime Racing's Ryan Eversley made a great start in race 1, climbing from 11th to seventh on the opening lap. He avoided much of the carnage taking place ahead of him and brought the car home fifth. New team driver Spencer Pumpelly, unfortunately, was part of the contact that happened in the pack and retired after two laps, negating a strong eighth-place starting spot. 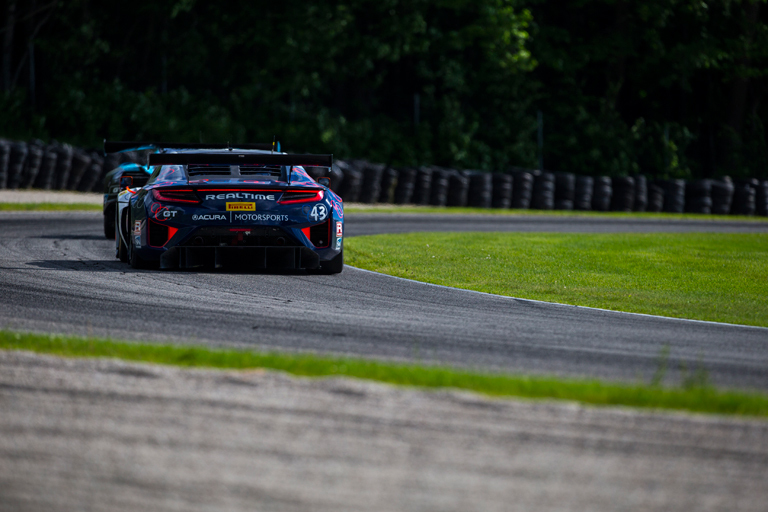 The Mid-Ohio weekend featured the first on-track excursion for the new Acura NSX GT3 car. 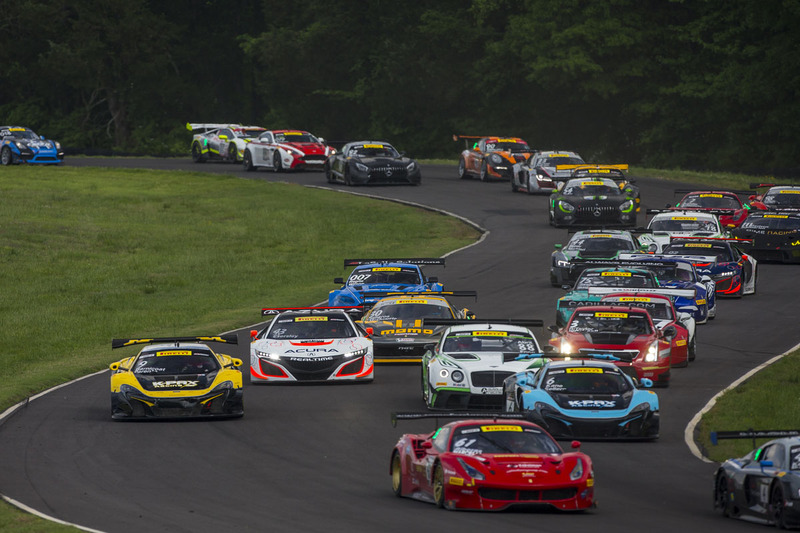 The car was slated to run alongside the GT cars of the Pirelli World Challenge during Thursday’s promoter test day and in Friday’s free practice, but heavy rains cancelled Friday’s scheduled session. The car performed well in its track time on Thursday and built excitement for potential future appearances by the NSX GT3. 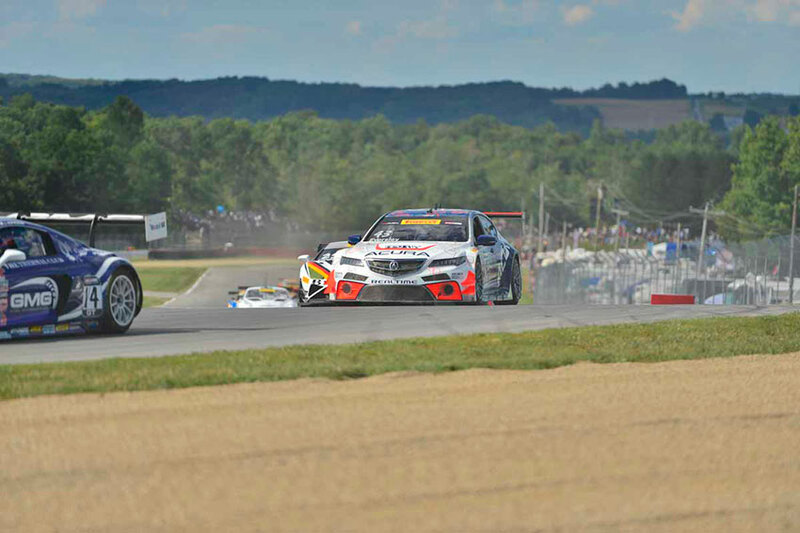 Acura’s Ryan Eversley completed a sweep of the Pirelli World Challenge doubleheader race weekend at Road America, adding a second flag-to-flag victory in Sunday’s 50-minute race to his equally dominant winning performance on Saturday. 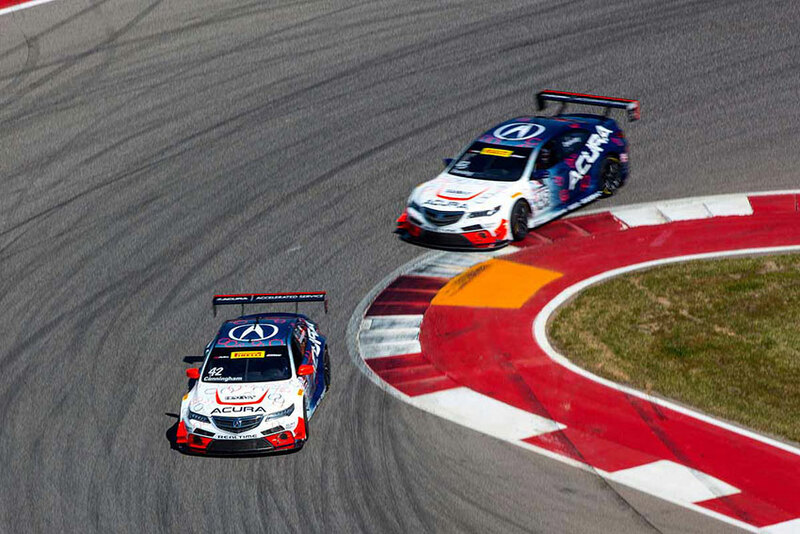 The RealTime ACura team goes 1-2 on the first race of the weekend at the Road America circuit. Ryan Eversley showed some great speed, scrambling to 3rd and eventually landing just off the podium in 4th. 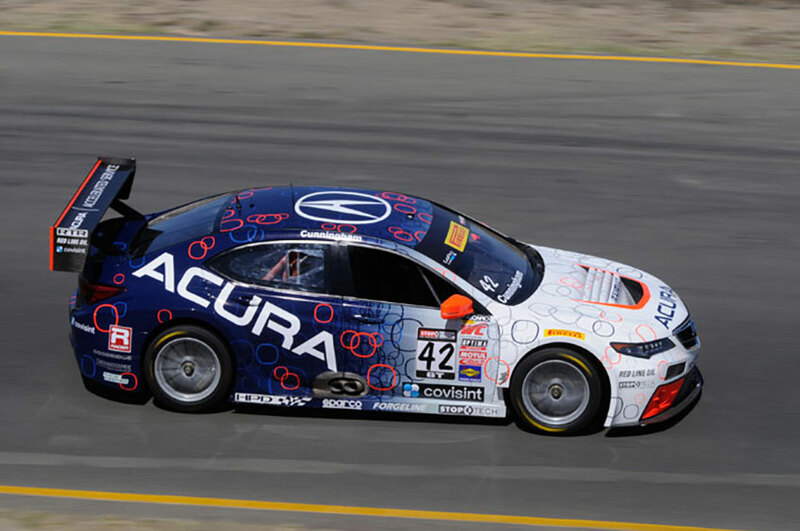 The RealTime Acura TLX-GT team did a great job setting up the car and is finding improvement every weekend. 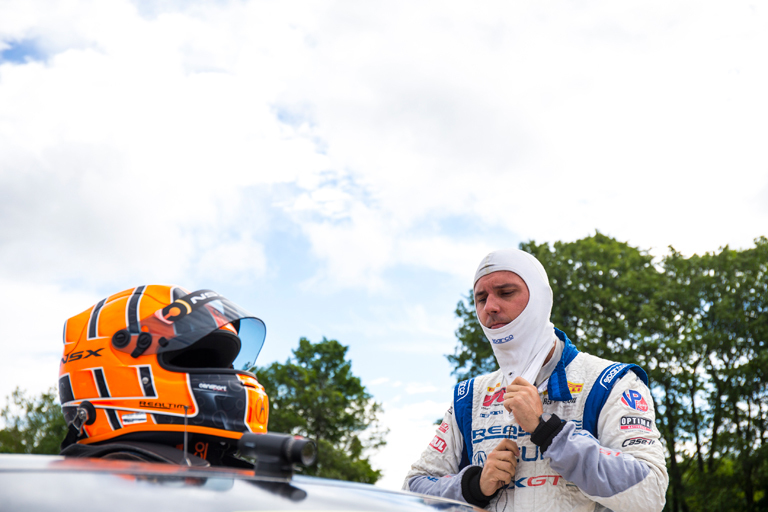 In Race 1 at Lime Rock Park, Ryan Eversley jumped into the #42 chassis and drove a smart race to move from 10th to sixth at the finish, earning the race's Hard Charger award. 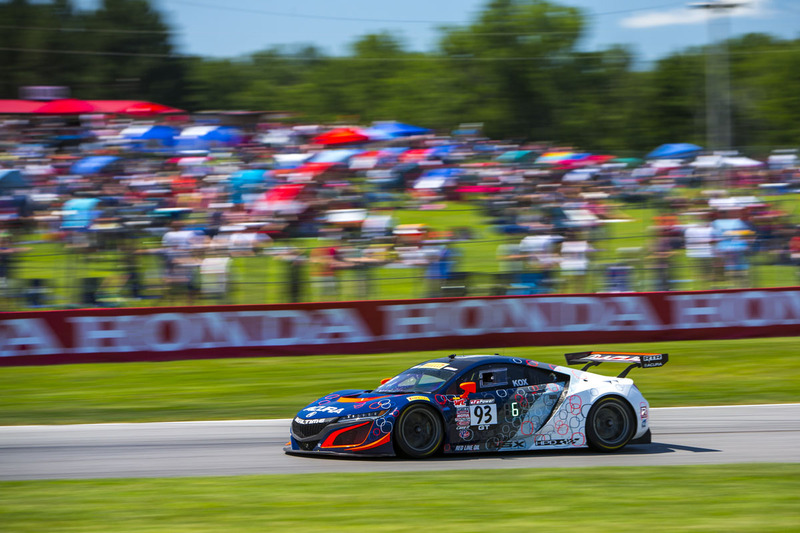 The RealTime Acura TLX-GT team had to scramble after a collision in the prior race (one week earlier) took the 43 car our of contention at Lime Rock. Driver Ryan Eversley would jump in the 42 car to race this round. 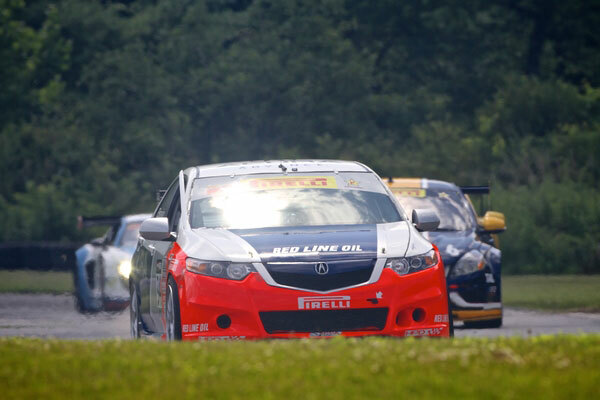 The RealTime Racing Team Acuras fought through some adversity this weekend, but kept battling to the end of Rounds Six and Seven of the Pirelli World Challenge at Barber Motorsports Park. 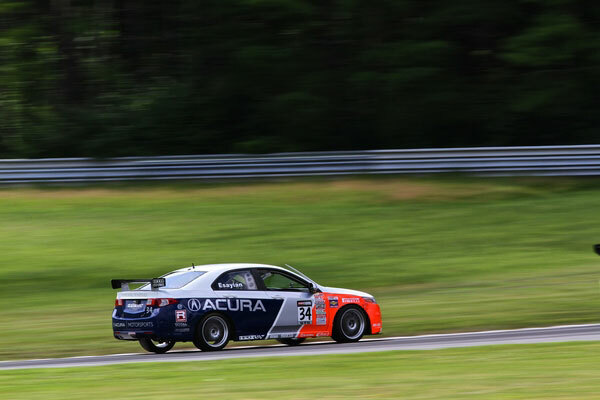 Tough race for the RealTime Acura team as mechanical troubles sidelined Ryan Eversley, but Peter Cunningham pushed his way through the field to grab the Hard Charger award. 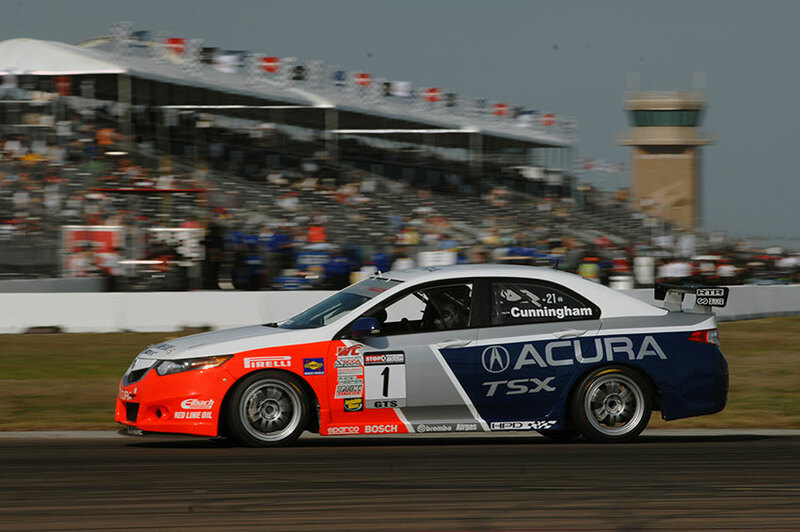 Ryan Eversley and Peter Cunningham had better races in the second round at St Pete, with Ryan finishing 6th, getting closer to the front with each race! 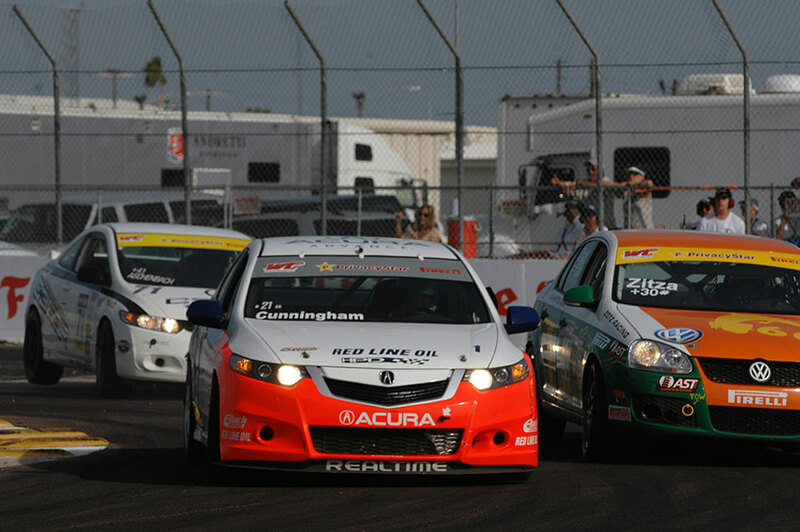 In Race 1 at St. Pete, drivers Ryan Eversley and Peter Cunningham started from near back of the grid and worked their way through the pack, improving starting positions for Race 2. 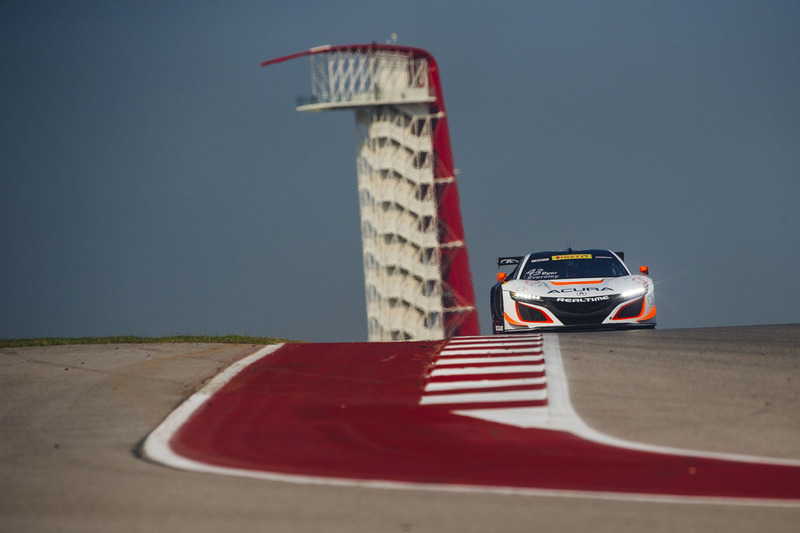 With a new 2-wheel drive setup, Ryan Eversley and Peter Cunningham are getting used to the new car. Top speed and ability to charge through the field are not issues, so they are concentrating on improving qualifying set-up. 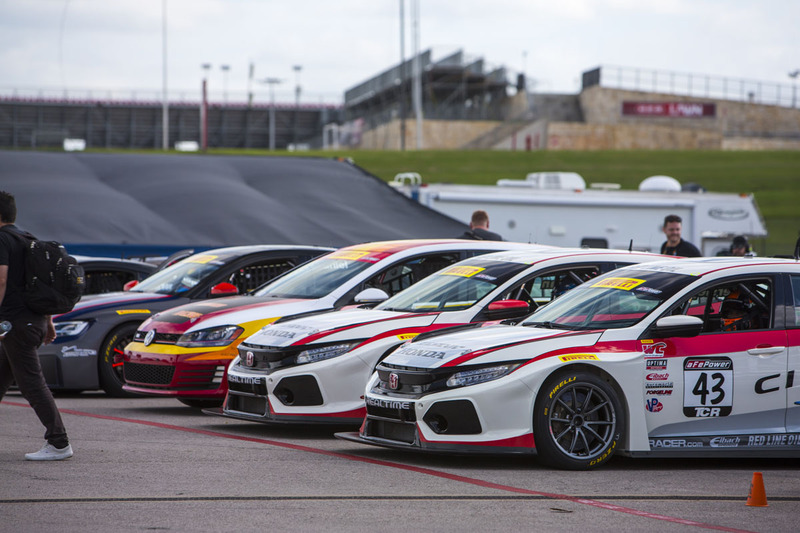 RealTime Racing debuted the new 2-wheel drive TLX-GT at Circuit of the Americas in the first PWC race of 2016. The car showed great top speed and provided a lot of optimism for future rounds.